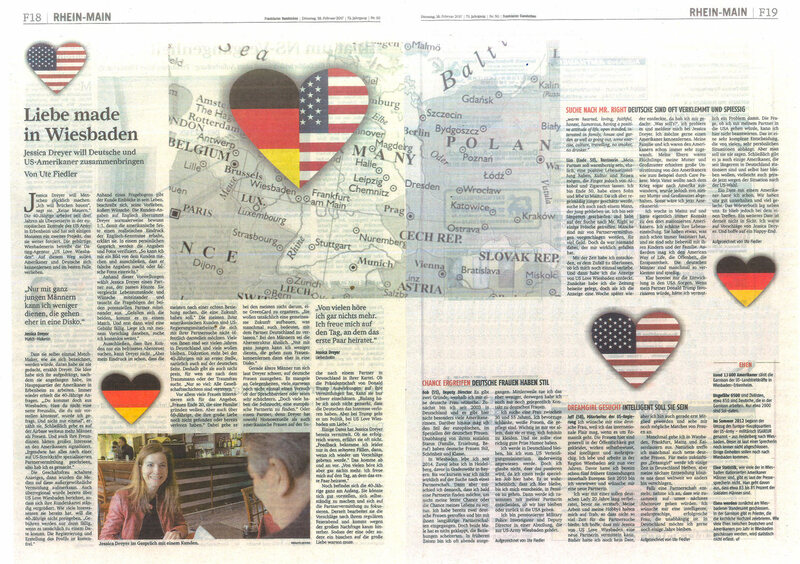 Many press releases about our American-German dating agency were already published. 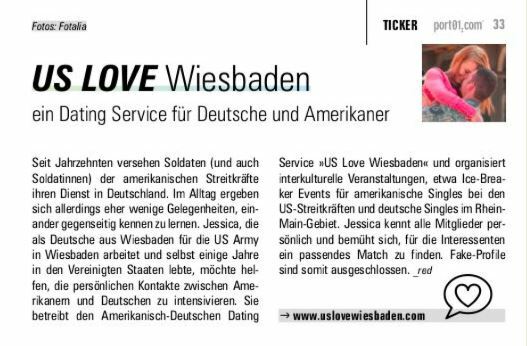 Find out what newspapers, magazines and online portals say about our personal dating service for single U.S. service members in Germany and local singles. 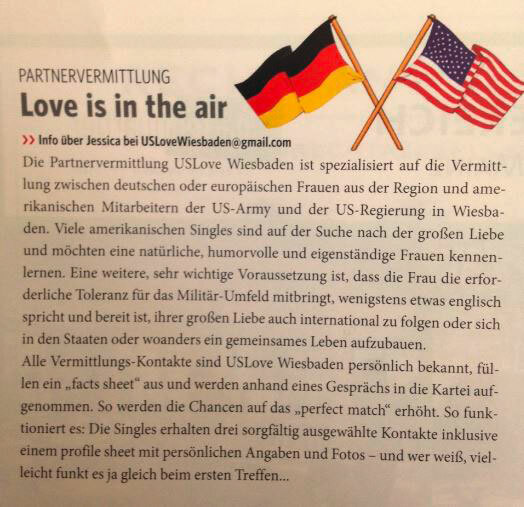 Are you a publisher and interested in telling the world about bringing American and German singles together? 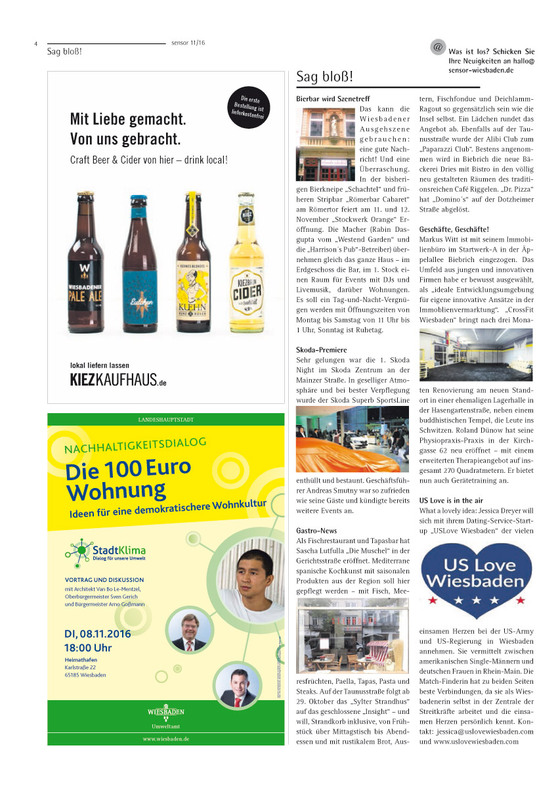 Please feel free to contact us via our contact form for any press inquiries! 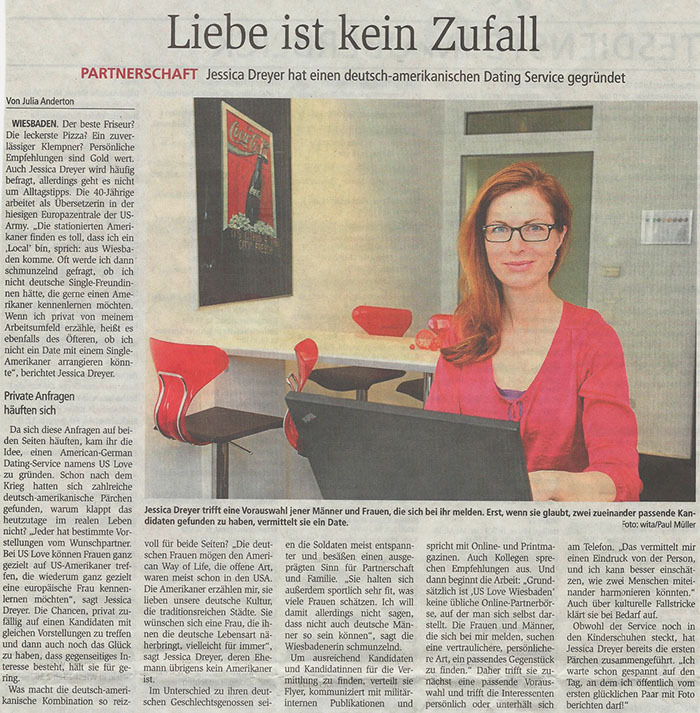 CONVINCED OF OUR SERVICE? 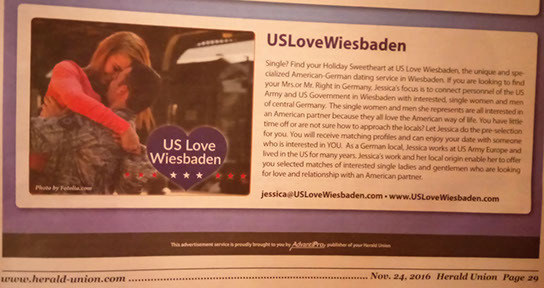 FIND YOUR PERFECT MATCH!